Getting your finances in order is something you should do right now. There is no better time then today to take control of your finances. 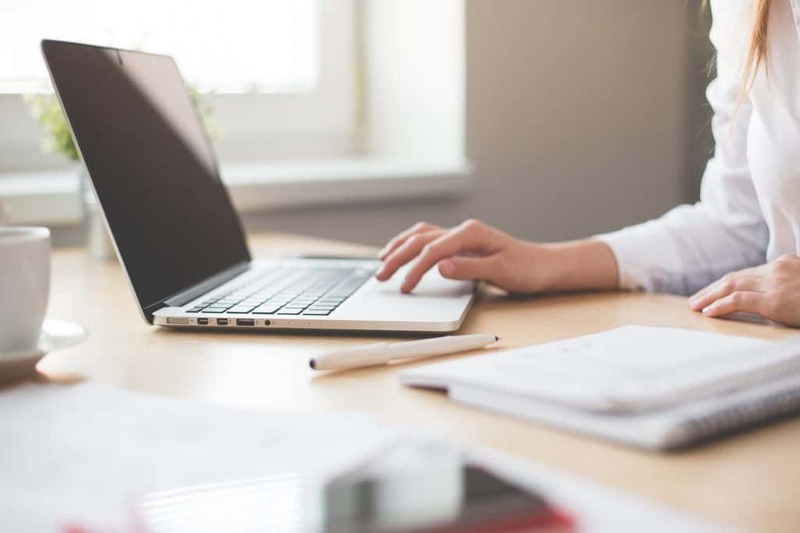 With the right tools, anyone can keep their finances organized an on track. 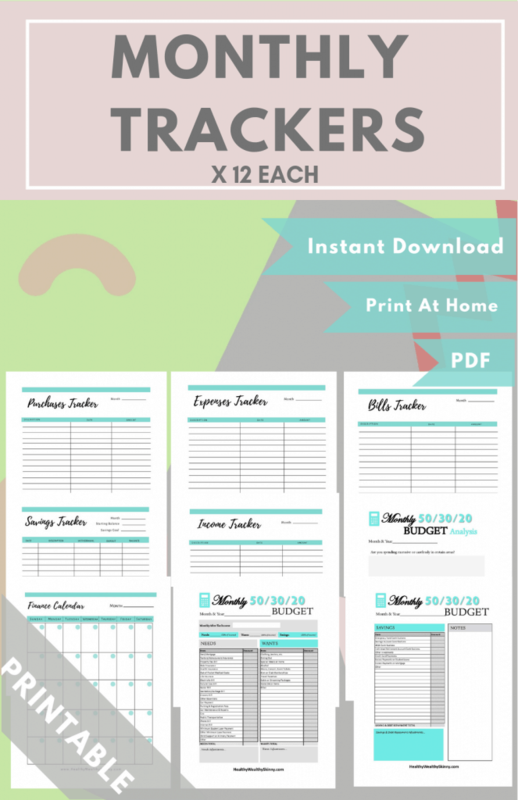 Finance printables are a great way to manage your budget, track your spending, save money, and even get out of debt. Hole Punch – If you choose to store your printables in a 3 ring binder, you will need a tool to put the proper holes in your printed pages. This tool is affordable and is easy to use. This is our very own Finance Planner. It retails for $27 in the Healthy Wealthy Skinny Shop. But you can get it here absolutely free. 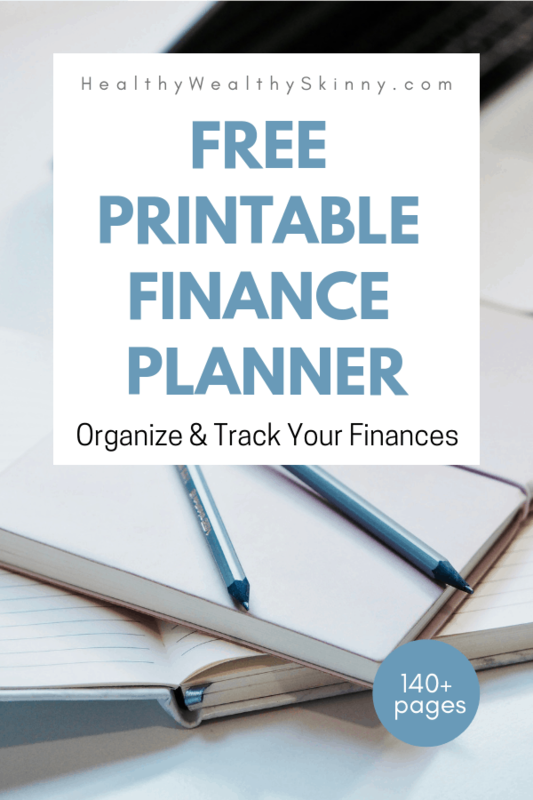 Detailed instructions on how to download your free finance planner are included at the end of this article. 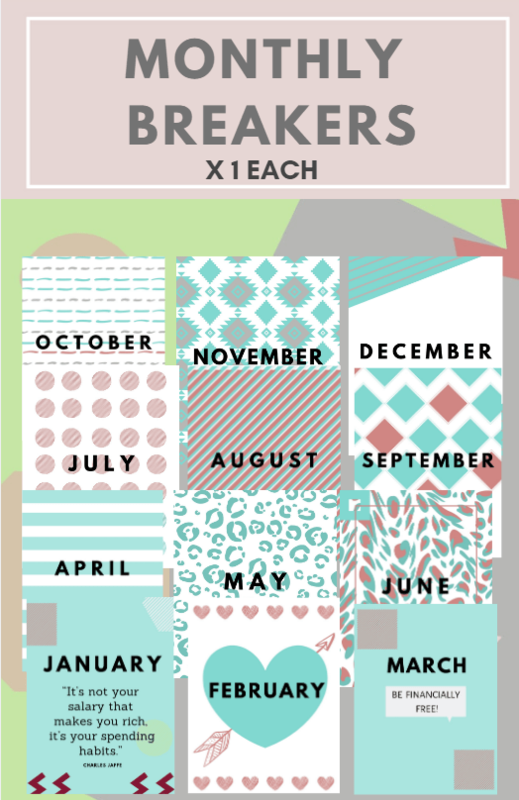 We recommend printing a month worth of pages at a time and keeping them in separate section of your binder. Dividers are a great way to keep this section organized. 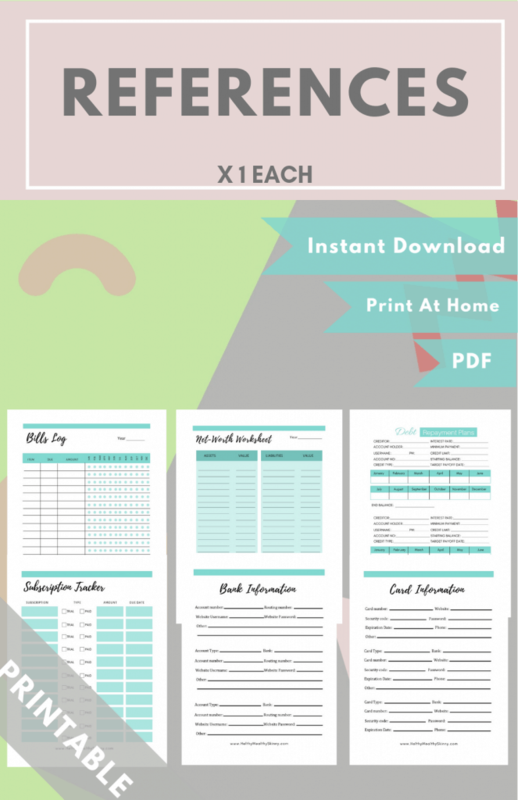 Download your free planner here. You will be taken to the Healthy Wealthy Skinny Shop. Choose the color you would like for your Finance Planner and select “Add to Cart”. Next, select the “Check Out” button. You will be taken to the final check out screen. 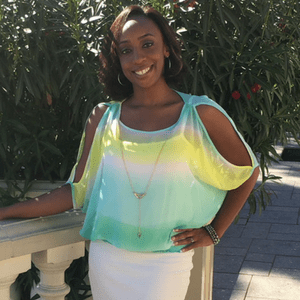 You should notice the Discount Code ” FINANCE2019″ entered and your cart total should be $0. If you do not see a discount code, enter the discount code below and your finance planner will be free at checkout. Continue through the check out process as instructed and you will receive an email with instructions on how to download your files. If you experience any problems, email [email protected] and you will receive prompt assistance. 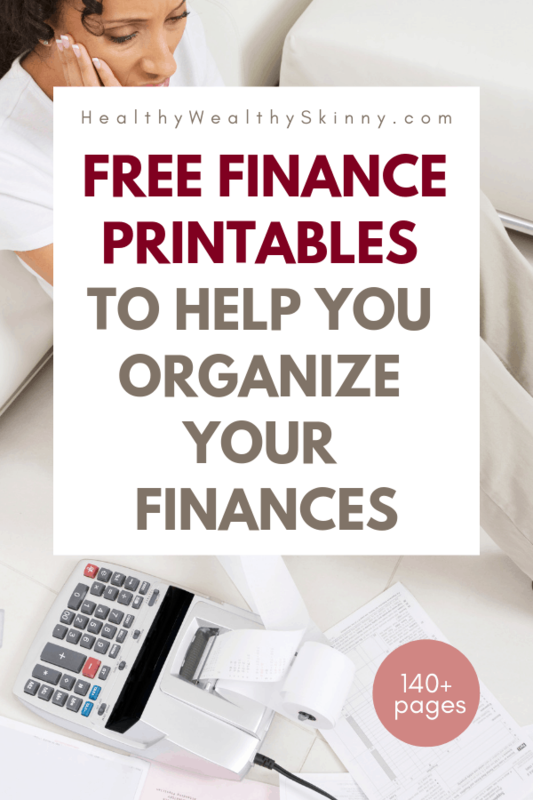 Leave a comment and share how you plan to use your free finance printables. Hopefully, the Financial Planner will help your year go by smoothly. Enjoy your free copy! This post is so helpful! I have been looking for a way to manage finances. Definately, applying this to my life. It’s perfect for us! With the beginning of the new year we are trying to keep our budget during every month. 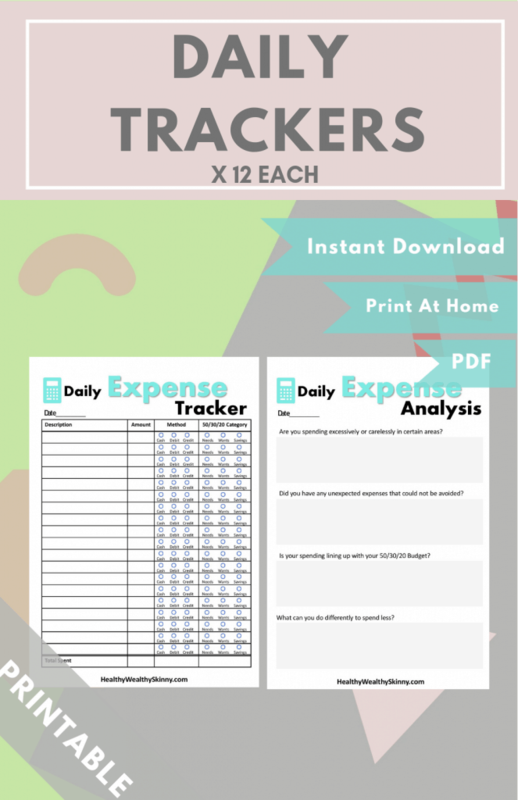 These printable will help a lot to keep the track of it. Thanks! So glad to hear that! Enjoy your free copy of the Finance Planner. Stick with it and I’m sure it will keep you on track with your budgeting. I’am definitely in need of a finance planner!!! Your post has taught me a lot about keeping organized with my finances. 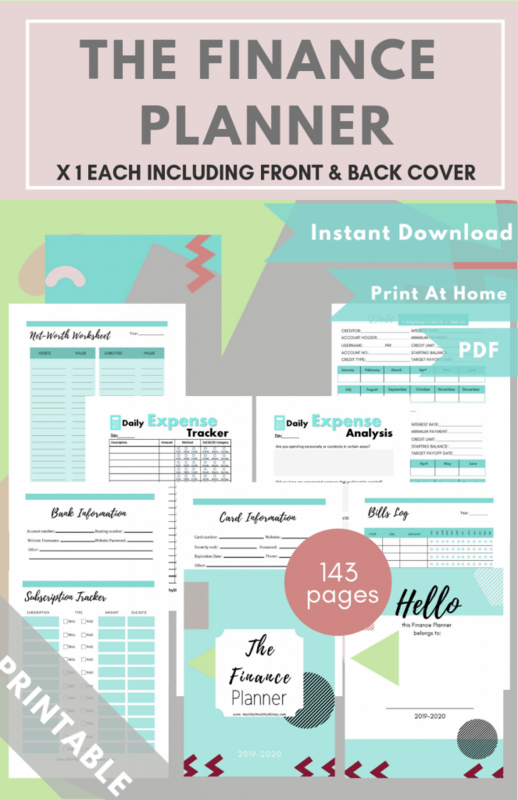 I’m a huge organization kind of girl so finance planner is the move!! My husband keeps track of our financial life. I know he has been telling me he needs a new way to organize all of our financial stuff. I think this will be very helpful for us! Hi Jessica! I hope this finance planner makes things easier for you guys. There are multiple colors for you and your husband to choose from. Enjoy your free copy! Previous Post Why Am I So Extremly Tired all the Time?